A huge big mazaltov to Stephen for his step up and across from head of production at Stink to executive producer at Park Pictures’ new office in London. We are sure that his capable shoulders are more than adequate for the added responsibility. 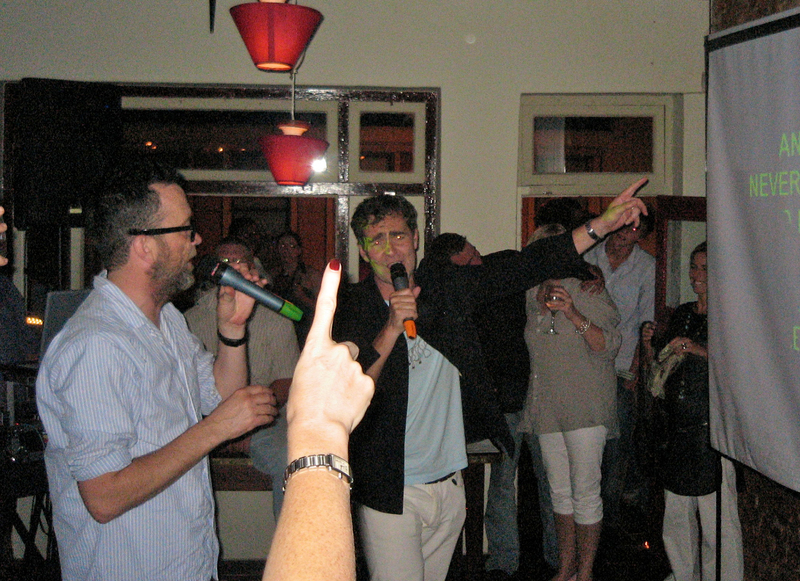 Speaking of responsibility here are pictures of Stephen responsibly celebrating Vivartia’s wrap in 2008 by belting out “Forever Young” with his brother Martin at the karaoke wrap party. 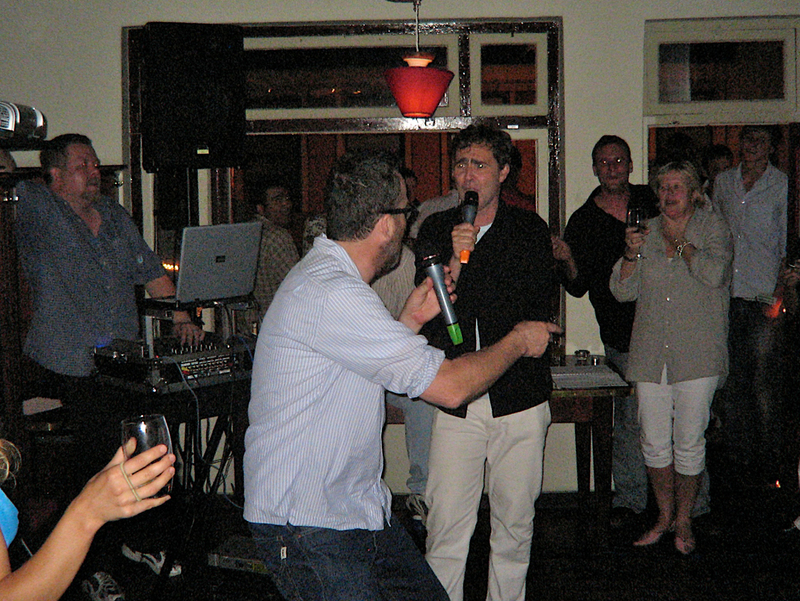 No persons were fatally harmed during the making of this wrap party (although they probably felt like it the next day). "Follow the finger Stephen! No, not that one." The invention of the "Brierley flap"